Sadly, fatal accidents in Massachusetts occur on a day to day basis. The MA Legislature has seen fit in allowing recovery for deaths caused as a result of negligence or malicious conduct. If you are the loved one wife, spouse, mother, father, brother or sister or family member of someone who was killed in an accident in MA please contact a MA Injury Attorney as soon as possible. Wrongful deaths in Mass. most often are caused by car, truck or motorcycle accidents. However, numerous deaths result from medical malpractice, social host liability, defective products, bicycle / bike accidents, Bus crash or Premises Liability type claims. 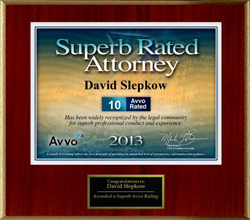 If you are the wife, spouse, mother, father, brother or sister or family member of someone who was killed in an accident or medical malpractice or surgical error mishap in MA please contact MA Injury Attorney, David Slepkow 24/ 7 on his cell phone 617 674 0835, as soon as possible. Claims as a result of fatal accidents are litigated by Massachusetts personal injury attorneys. These are the same MA Personal Injury Lawyers who file claims based on Auto Accidents, Pedestrian Accidents, Medical Malpractice and Product Liability claims. What is the Statute of Limitations for Death by Wrongful Act in Mass? Who is entitled to file a wrongful death Lawsuit in Massachusetts? The person’s executor or estate administrator may pursue the negligence claim on behalf of the beneficiaries. Pursuant to Mass Law, in no event may the beneficiaries take unilateral action to obtain damages as a result of a death. What types of damages are available to the person who was killed in the accident estate?